When you first got married were you prepared for marriage and motherhood? I mean, did it all come naturally to you? Maybe you were like me and didn’t know the first thing about cooking, cleaning, or managing a home let alone how to continue growing a marriage and family in the midst of it all? My point is, we all need encouragement and mentors to guide us in our pursuit of bringing God glory in our homes, marriages, and family relationships, right?! If I would had heard a phrase like setting the atmosphere of my home to be Christ-centered, I wouldn’t have known where to begin. A lot of what we are called to do and be in our homes and in our relationships is simply not taught. How does a new wife or mom learn the things she wants to know? By trial and error, Google, Youtube? And when we come across a new season in this journey of life and realize we’re fumbling or don’t know what to do, where do we go to learn? God’s Word gives us clear guidance as to how and where the younger women (we are all younger than someone) are to be learning. From this Scripture, we can conclude a few things. That God’s design for the household of Faith is that the older men would teach the younger men, and likewise, the older women would teach the younger women. To me, as a middle aged mom, and wife of seventeen years who has been parenting seven children for sixteen years, this passage speaks to me encouragement that I can and should be learning from those older than me, but it also exhorts and challenges me to be leading those younger as well. God’s Word gives us trustworthy and careful guidance and teaches us to go to those older and more experienced, who have fruit in their lives, for advice and secrets of the trade regarding homemaking, marriage, and raising children. He encourages us to get guidance from those who have been doing it a while. And though His Word IS THE authority and perfect example for us in how to love our children, for example, sometimes the best way for us to learn is to witness another sister in Christ doing it well. I greatly value all the amazing mentors God has put in my life over the years. I wouldn’t be who I am without them! Some of those mentors have been beautiful books, written letters by wiser big sisters in Christ, inspiring me to think about the heart of my home more than the appearance. But I also acknowledge how so many women struggle to find mentors willing to pour into them. Do you need encouragement as a woman on purpose in her home? Do you desire someone older taking you under their wing and inspiring you with tricks of the trade regarding home management, natural remedies, or 100 ways to love your husband better and more? Do you need guidance in how to cultivate mentorship in your life? Do you need to be taught what it means to build a gospel-centered home? If you do, I am excited to share with you a special offer to join the Homemaking Mentor Academy with me and 7 other women of God who have prepared some quick, but powerful teachings geared for the homemaker, wife, mom, and friend! The price of joining the academy is only $99! Only $99 to get the help, guidance, and biblical encouragement you need from gospel-centered Titus 2 Women! There is no where else you can get this kind of education! Join the Homemaking Mentor Academy Today! I am so excited about being a part of this Homemaking Mentor Academy. It is truly an honor to be involved in such a potentially life changing course for so many women with so many women I adore! If you are interested in finding out more about what comes in the course go here. I encourage you to take a moment and check it out! As I have mentioned before, I have teamed up with these other wonderful women of God to create this awesome academy course. 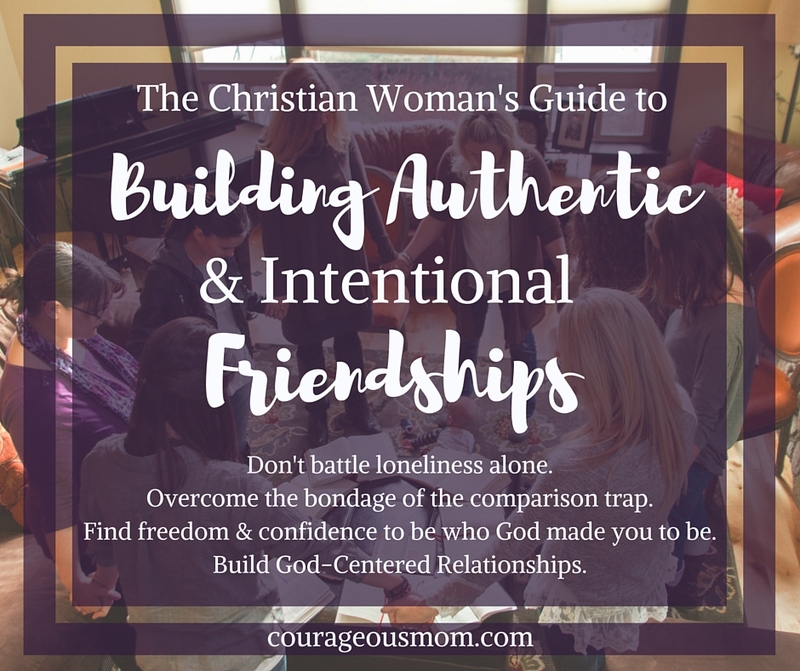 I do have affiliate links in this post that will help to support the ministry here at Courageous Mom. Thank you for sharing this post! And let’s encourage one another to keep God first in our homes.